Most White House tourists probably don't expect more than a hasty look around 1600 Penn. Instead, this morning's batch was greeted by First Lady Michelle Obama herself. Now that's definitely worth a wait in line. Obama brought Bo along to the Blue Room. She chatted with guests and hugged many of them as they filed in. That's sweet and all, but did they get any time to exchange fashion tips? Regardless, the first lady showed up to mark the end of her family's first year in the White House. 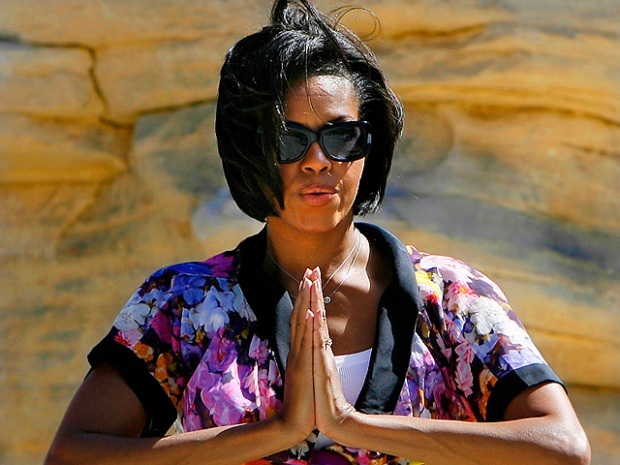 The Obamas had promised to open the space to more visitors. More than 614,000 people have visited in the past year, the largest attendance post 9/11, according to a White House press release. The number includes those at the 2009 Easter Egg Roll and the Kitchen Garden school group tours. 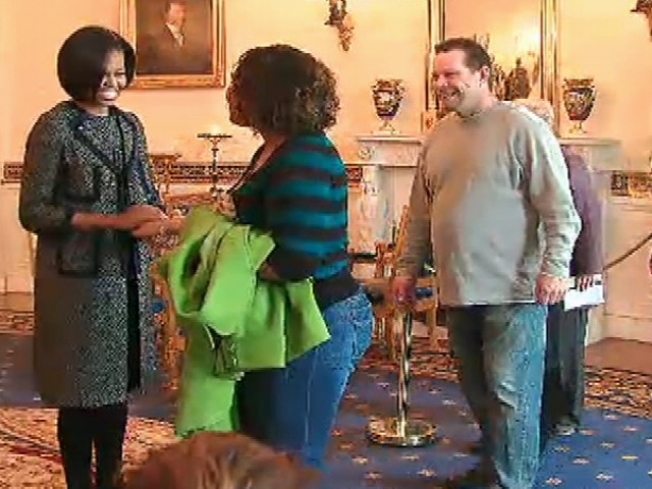 The First Lady's meet-and-greet was screened live at 10:45 a.m. on White House Live. No word on whether the Salahis snuck into the tour.